Better gear doesn’t guarantee more fish, but fishing with the right lures using the right presentations will dramatically improve your chances on not only catching fish, but catching trophies. Don’t rely on hearsay and old tales told from friends or your grandpa- fill your tacklebox with proven, effective lures and learn the proper presentation and you will have more success on the water. Trout can be downright picky- using the best trout lures available will help give you a chance at catching them. Check out our list of the best trout lures for 2019 and if you don’t already own them, make sure you get them before your next outing on the water! My absolute favorite lure when fishing for trout. I’d say, in my experience fishing, this lure has caught more trout for me than anything else, and that includes worms and minnows. The Mepps Aglia is what I consider the perfect spinner. Well constructed, balanced nicely, and made to catch fish. You can find the Mepps Aglia in many sizes but I prefer to go a little bigger, even when fishing for brook trout. Sizes #2 and #3 will give you a decent casting distance and enough vibration to wake up even the sleepiest of trout. The Mister Twister Meeny Jigs are a representation of an absolute staple in anglers tackleboxes for generations. The common jig with the curly tail has been used to catch trophy fish for a wide variety of species and trout are no exception. 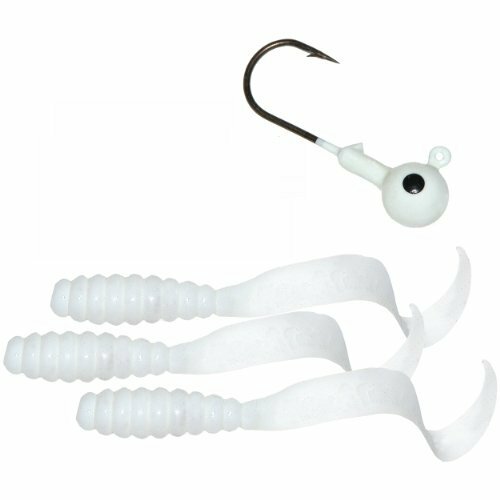 This lure combo is great when bounced off the bottom and can be used in lakes, ponds, and streams. A fantastic offering to brown trout and other trout that stay near the bottom of some deeper pools. A masterpiece that has withstood the test of time. 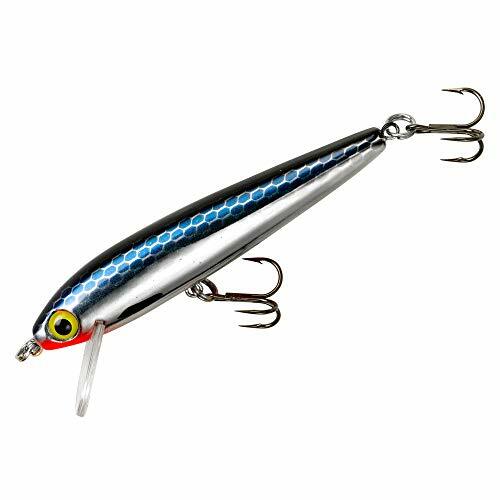 The original Rapala Gold Sinking lure should absolutely make a home in your tacklebox. A fantastic lure if you’re fishing early season trout on a big lake or pond holding decent sized trout. I like this lure in the early month or months in the season on the lakes while big lakers and rainbows are near the surface. This lure swims about 8 feet down which is just perfect for ice out trout looking for an easy meal. I really love the Storm WildEye Live Minnow lures! Their swimming action is so lifelike it’s very easy to get a super finicky fish to take a swipe at it. Get the smallest ones you can if you’re fishing streams and rivers but if you’re targeting lakers or steelhead, go up to the biggest sizes. These lures are offered in many patterns and colors so be sure to best match the bait of choice to your local fishery. Any type of retrieve will work with this lure. The Mepps Aglia Comet Mino is a nice variation from the Mepps Aglia. 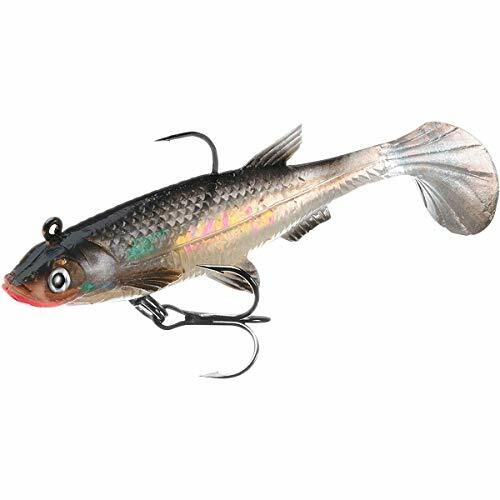 Equipped with the same spinning blade as a regular Aglia, this lure is dressed with a lifelike minnow to further entice a trout not particularly easy to coax. I particularly like trolling with these rigs in shallow water while its cold, around ice out season. Fish are less active when the water is that cold so seeing a tasty minnow trailing a very intoxicating vibration makes for a good meal. 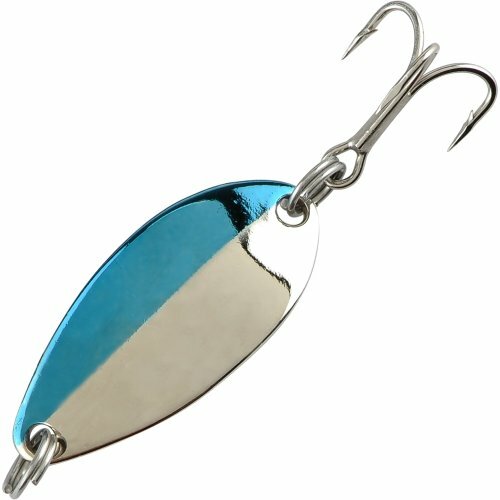 The nice thing about Mepps spinners is you can vary your retrieve speed to get many different presentations, so this lure is good either fast or slow. Bouncing this lure off the bottom like a crawfish will attract any hungry trout. The Rebel Wee-Crawfish is small enough to target trout that living in rivers and streams. It sinks to about a 7 foot depth so let this dart across the bottom to induce a strike. 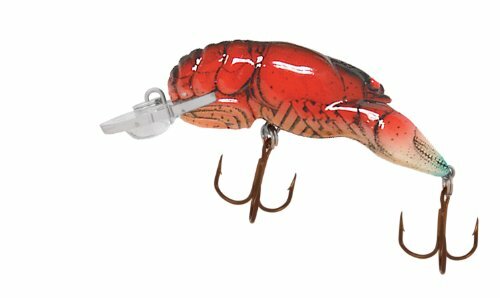 Painted to look just like a common crawfish with its tail curled underneath as if it were pulling away from wherever it was, you’re sure to get a hungry trouts attention with this lure. We’ve all fished with a trout worm before. The simplest way to fish this worm is with a small weight and twitch it back to you. The Berkley Gulp Fat Floating Trout Worm is designed to catch more fish using lifelike characteristics combined with incredible scent dispersion. Bouncing this off the bottom would yield your best results. Offered in several different colors it’d be good to have a few different choices in your tacklebox to make sure you have exactly what the fish are biting that day. 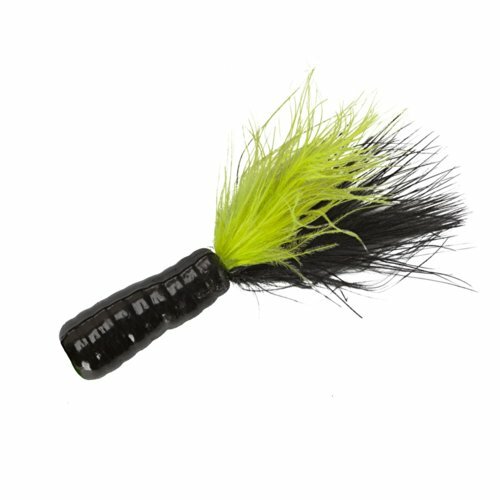 The Lindy Fuzz-E Grub Jig is exactly what you want from a small jig with a big appearance. It’s lifelike colors with a large feather attractant makes this an irresistible choice for trout in any body of water. Pair it with a multicolored jig head and you’ll be into the fish in no time. Offered in several colors and sizes you will never find yourself having the wrong colors with you on the water. The Rebel Tracdown Minnow is a great option for trout in moving water. With a sinkrate of 1 foot per second and size 6 trebles, this lure is sure to get the attention of a hungry trout. It’s 3D eyes bring the lure to life in the water. Made with Rebel’s quality materials and solid construction this lure will survive multiple strikes. Offered in four colors and three different sizes, find the right one for your body of water and enjoy all the action it provides. Panther Martin makes our list with its classic Spinner. This spinner is unique from Mepps in that it’s designed with the shaft protruding through the blade, which makes it a much faster moving blade in the water. Panther Martin has several different blade configurations, concave, or convex, so be sure to pick up a few different choices to see what works best for you. My favorite color patterns are gold/red and silver/blue. They offer many different styles so be sure to pick what you like. 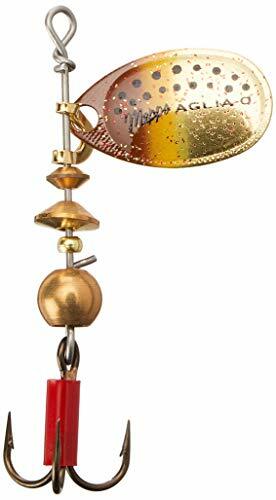 Another traditionally popular trout lure is the spoon, and Acme’s Little Cleo is a great option for a casting spoon that brings in big fish. Spoons are some of the most reproduced lures in the industry but Acme seems to always create winners. Check out the wide variety of colors available and sizes and either troll or cast these great lures. If you fish the great lakes, go big and go wild with the colors. I’d also suggest if you have any Little Cleo’s that you haven’t had much luck with, manipulate the bend of the spoon a little bit to get a different presentation in the water. 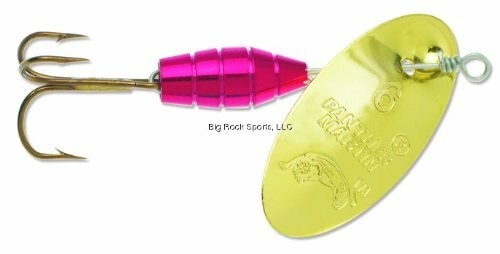 If trolling for trout is your style, give the Yakima Bait Flatfish a try. It’s unique action is pretty good when you’re trying to attract fish that have seen it all and aren’t fooled easily. 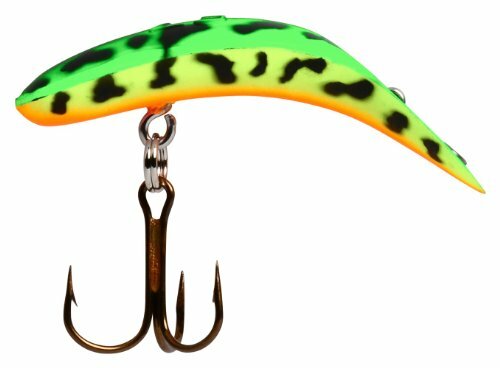 Yakima offers this lure in a ton of different colors so there is for sure a good combination out there for your body of water. Pick up a couple of these and throw them out when you’re trolling four lines at once. You’d be very surprised how good these work for Rainbows, Browns and Lakers. Vibrax Blue Fox is another quality spinner that should not be overlooked. Like the Aglia and Panther Martin, it has a reputation for coming up big in many bodies of water. Solidly constructed and offered in a wide variety of colors and sizes, the Blue Fox spinner should absolutely be in your arsenal. I’d also recommend a Rooster Tail by Wordens as another rock solid spinner choice.